Your Diabetes May Vary: What is Accuracy? Given the huge number of variables and the amount of guestimation involved in diabetes care, I don't see that 100% meter accuracy would make a significant impact on my life or my control. I remember the days when we used to pass my blood test strip round the family so they could all voice an opinion as to what colour (and therefore BG level) it matched up to on the pot. The variance was generally pretty large so I guess I'm just used to living with ambiguity from an early age! 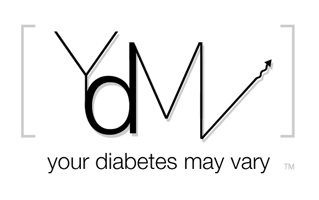 You Diabetes May Be Ambigious? Accuracy? That exists? In life? Where? Like Allison, I grew up with "ranges" from my "pee strip." Then some nasty lows I did not feel so I used control solution to confirm. I trust my body more than the technology. But....all things in life don't always "measure up." This is a very poignant post. You hit the nail on the head in Several places. We can only rely so much on so many things. It's always going to be about balance. For each of us, that balance will be different. Diabetes is a such an individual disease. One form of management (technology) is not best for all. Good points about all of the variables, but isn't it better to eliminate as many variables as possible? To determine how accurate the meters should be, I suggest they look at how accurate the dosing of insulin is. Look at the lines on the side of a 1/3 cc insulin syringe. Consider the insulin pumps with increments of 0.01 units of insulin. Blood glucose meters should approach this level of accuracy, or something is out of whack. If it's OK for my blood sugar reading to be 30 points off, why should my pump deliver increments of less than half a unit? I agree with jpnairn -- it is impossible to pin down all of the whacky variables that impact our blood sugar, but improving meter accuracy would help eliminate one of them (or come close to it, anyway). A meter being off by +/- 20% really isn't acceptable...I'm sure meter inaccuracy has been the cause of a few "unexplained" lows or strangely persistent highs in my diabetes lifetime. That said, I think your post is should be read by doctors, insurers, general public, etc., who place blame on people with diabetes for not "being in control" or "not being compliant" or whatever BS judgment they'd like to toss out. How in the heck are we supposed to control the infinite? We can only do our best to shoot at a moving target and hope that we hit it most of the time. It is not only the 20% inaccuracy that is permitted which if find UNacceptable, but perhaps even more so that it only has to be within that 20% above 75 mg/dl 95% of the time - NINETY-FIVE PERCENT OF THE TIME. The other 5% are considered "outliers" without explanation. To hear some in industry or academia discuss it, it felt to me as if outliers are considered nothing more than dots outside of the Clarke Error Grid A/B Zone. But I view the very same dots as flashing warning signs with alarms going off - CAUTION - because of the potential human consequences that may result from that # on the meter. Kendra said, "... with who place blame on people with diabetes for not "being in control" or "not being compliant" or whatever BS judgment they'd like to toss out." Very nice. I am sure you mean Blood Sugar there with the "BS." Oh wait maybe NOT.